Superstar Duo Florida Georgia Line Builds with Habitat Denver! Habitat Denver volunteers and partner families had the chance to move some 'Dirt' with Brian Kelley and Tyler Hubbard -- the superstar country duo Florida Georgia Line -- on-site at our Sable Ridge townhome complex in Denver's Montbello neighborhood on September 18! Brian Kelley and Tyler Hubbard of Florida Georgia Line worked alongside volunteers and partner families at Habitat Denver's Sable Ridge townhomes in Denver's Montbello neighborhood on September 18. 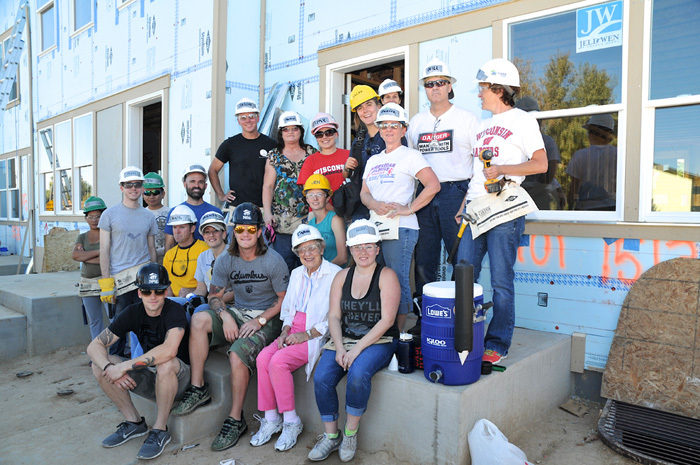 Following the release of their best-selling single ‘Dirt’ earlier this year, the band has teamed with Habitat for Humanity International to conduct community builds and visit Habitat homes across the county. These great guys are leaders in the music world and in the sphere of community service. 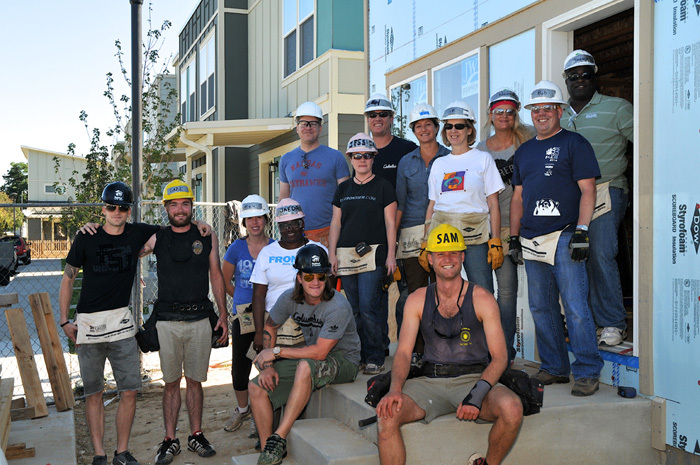 We are so grateful that they share our vision of building homes, communities and hope, and we were thrilled that they chose to share in our work out at Sable Ridge! 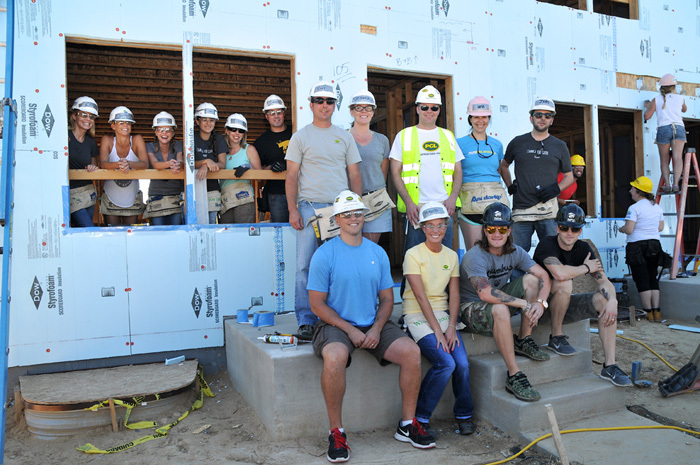 Volunteers, staff and partner families had a chance to interact with the guys, help install new windows on the townhomes and take a few group photos. To find out more about Florida Georgia Line's partnership with Habitat through their Dirt campaign, visit www.DirtCampaign.com. You can also read more about the band at www.FloridaGeorgiaLine.com. 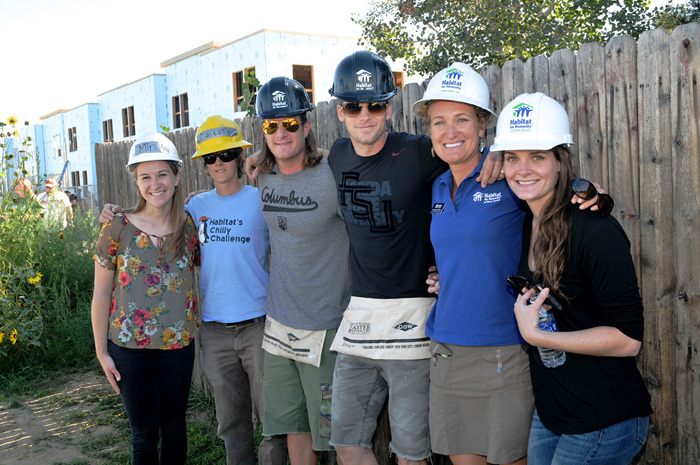 Follow the hashtag #FGLforHabitat to see more great photos from the day! If you were a volunteer on-site and want to download today's group photos, click on the links below!